To be an effective, inspiring leader, learn from the best. Role modelling and learning from successful people is one way of improving your leadership skills. Here, we feature female leaders who have had an impact in the areas they lead. 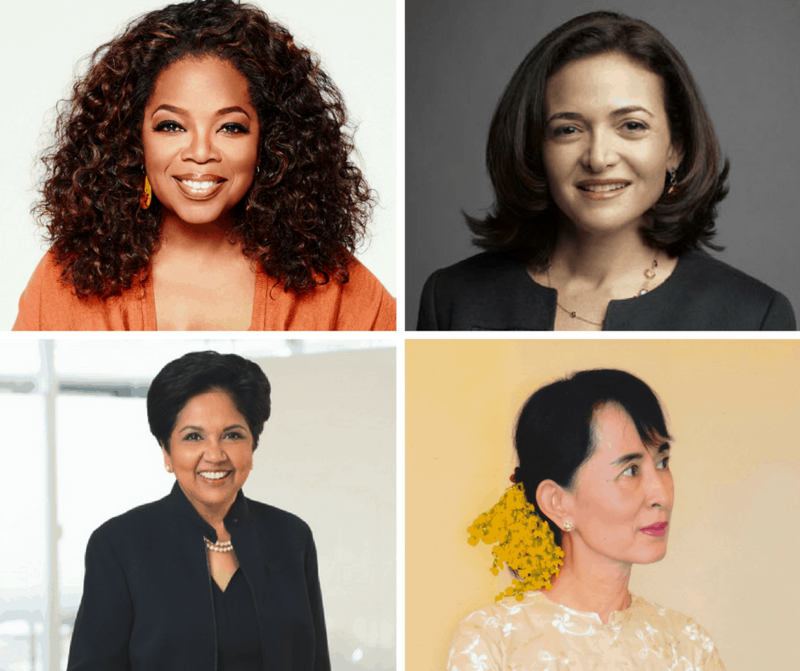 Whether it’s business or politics, these women have broken through any perceived glass ceiling and shown how women can be effective leaders. We hope that the profiles help you understand these leaders in a deeper way and provide useful lessons on how to emulate their success in leadership and life. So put on your Padawan hats, and get to learning some leadership lessons from these notable leaders! Sheryl Sandberg is the current Chief Operating Officer of Facebook, and one of the top women leaders in the technology industry. Fortune magazine has named her of the 50 Most Powerful Women in Business (#10 in 2014). Oprah Winfrey is an iconic American television talk show host, and a mogul in the entertainment industry. She is currently the Chairman and Chief Executive Officer of Harpo Productions, and Chairman, Chief Executive Officer and Chief Operating Officer of the Oprah Winfrey Network (an American television channel). Aung San Suu Kyi is a Burmese politician known as an advocate for the pro-democratic movement in her country. She currently holds several political offices in Myanmar; among them, she is State Counsellor of Myanmar, Minister of Foreign Affairs and Minister of the President’s Office. Indira Nooyi is the current Chairperson and Chief Executive Officer of PepsiCo, the world’s second largest food & beverage manufacturer based on revenue. She is PepsiCo’s first female CEO. Eleanor Roosevelt was the longest-serving First Lady of the United States, holding the position during Franklin D Roosevelt’s four terms as U.S. President from 1933 to 1945. She redefined the role of the First Lady by being more active in political and civic life, instead of the traditionally accepted ‘domestic hostess’ role. She was also a diplomat, social activist and humanitarian. Angela Merkel is the first female Chancellor of Germany and has served three terms. As a Lutheran divorced woman from East Germany, she defied convention by breaking into, and eventually leading, the traditionally conservative male-dominated Christian Democratic Union party. Hillary Clinton is an American politician who has held numerous positions such as First Lady of Arkansas, First Lady of the United States of America, U.S. Senator and U.S. Secretary of State. In 2016, she became the first female presidential nominee for a major U.S. political party.